Winter weather is enough to send a chill down any driver’s spine. But with preparation and the correct equipment, even the worst driving conditions can be negotiated with confidence. Always accelerate smoothly and brake cautiously when snow or ice are a danger. And should traffic grind to a halt, it pays to have essentials to keep the cold at bay, communicate with colleagues, friends or family, and stave off hunger. In 2013, hundreds of drivers were left stranded for up to 14 hours in parts of Kent and Sussex, after sudden heavy snowfall brought even main roads, including the M23, to a standstill. Rather than hope that volunteers will be on hand to help in such situations, follow the motto of the Scouts and be prepared. Recycle a cardboard box or use a plastic container and securely store it in the boot with your winter kit in it. Should the roads become impassable, your phone is your lifeline to the outside world. But in cold conditions, the battery can lose its charge surprisingly quickly. 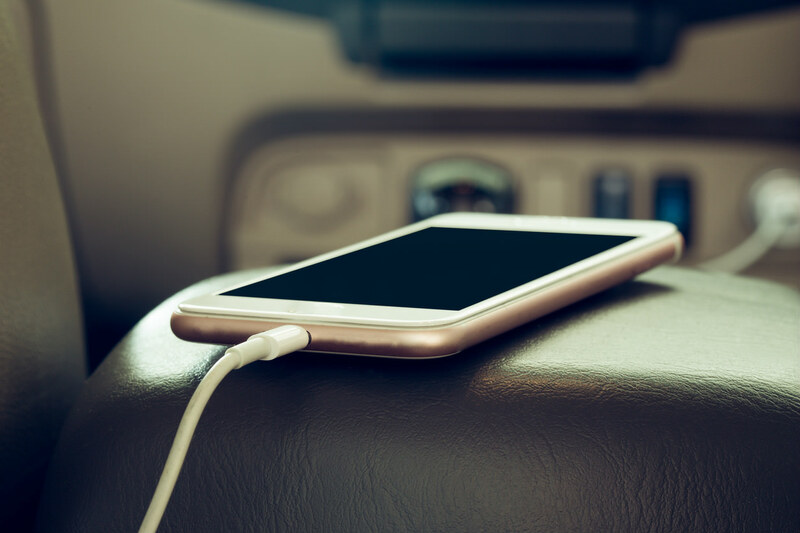 Ensure the exhaust is free from obstruction and run the engine for periods to stay warm and charge the phone. No extra points for looking good; just make sure it will keep you warm. A warm coat, hat, scarf and gloves, and heavy-duty footwear are vital to have on-board in case your car becomes stranded in the snow. Anyone who’s unlucky enough to be stuck in their car for hours on end, or perhaps a whole night, will be glad they packed a blanket. It can also be useful for helping comfort those at the scene of an accident. These two are essential if drivers are to quickly remove ice or snow from their car’s windows without feeling the effects of frostbite on their fingers. Accidents happen all-year round. No matter whether it’s the winter or summer, keeping a compact first aid kit in a car is a sensible step. Not a member of a breakdown company? Then get some battery charger cables or jump leads. 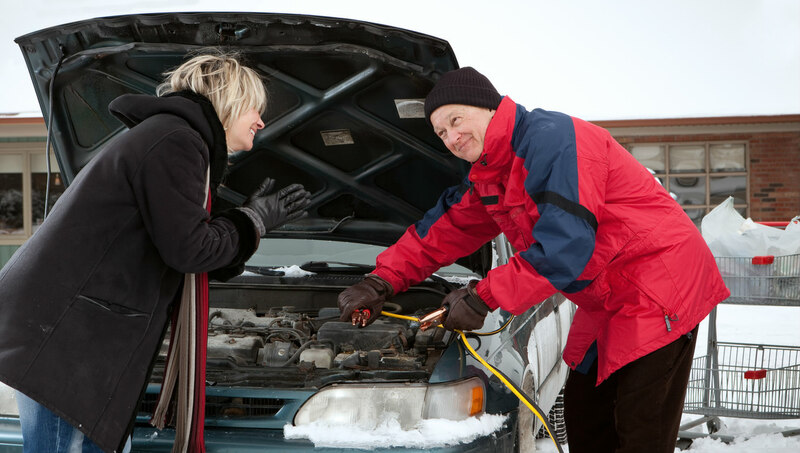 A flat battery is the most common cause of cars breaking down in winter weather, according to Green Flag and the RAC. Look out for the red warning light on the dashboard – see our guide to warning lights for more information. If a car becomes stuck in snow or leaves the road, the driver needs to alert other road users to the hazard. A reflective warning triangle provides advance notice to approaching traffic, while the high-visibility vest and torch ensure the wearer stands out in tricky light conditions. If you’re stuck in stationary traffic you need to maintain your energy levels and stay hydrated. It’s surprising how much screen wash is consumed to keep a windscreen clean in wet or snowy weather. Keep a ready-mixed bottle handy to top up when needed. 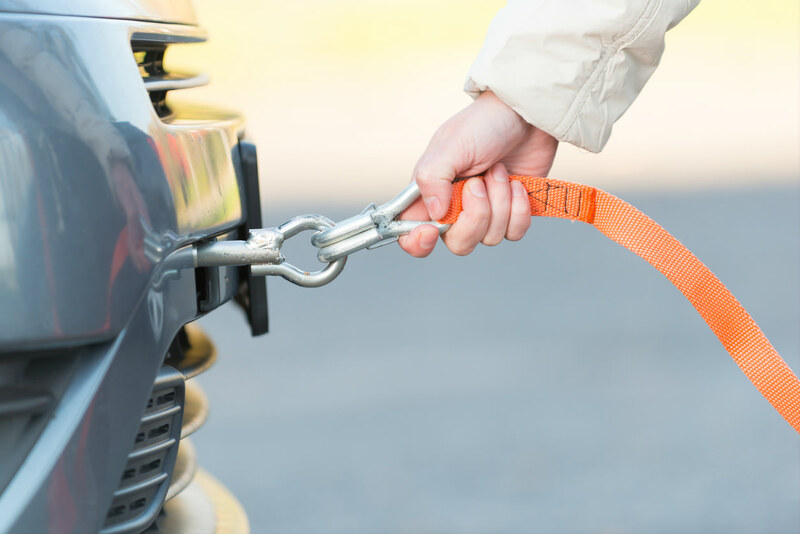 These could be used to help free your car or rescue another driver who’s stuck. But ensure they are stored securely in the boot of the car.